StepMonster, a comedy about a teenage girl (Martin) who is adjusting to life with a new stepmother. She stars in and executive produces her first film, the comedy “Little,” along with Regina Hall and Issa Rae. “Little” opens on April 12. 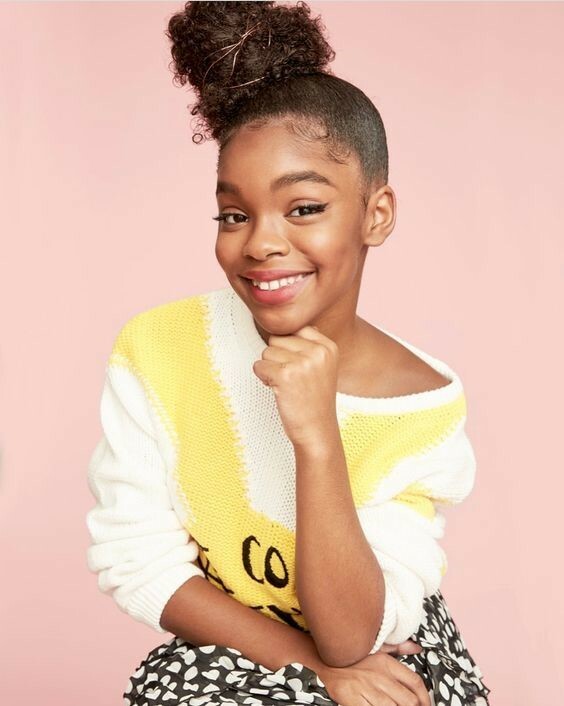 Marsai Martin is continuing to make a big splash! Universal Pictures announced earlier today that they signed a first-look production deal with 14-year-old actress/producer Marsai Martin and her production company, Genius Productions. Martin currently stands as the youngest executive producer. “Working with emerging talent is a cornerstone of Universal’s overall slate strategy and Marsai is a star on the rise,” Universal Pictures president Peter Cramer said. Martin is known for her break role on ABC’s Black-ish, where she plays Diane Johnson, the mischevious youngest daughter of the Johnson family. Martin will develop scripted projects for Universal alongside Joshua Martin (co-founder), Carol Martin (Vice-President) ad Prince Baggett (Head of Creative).